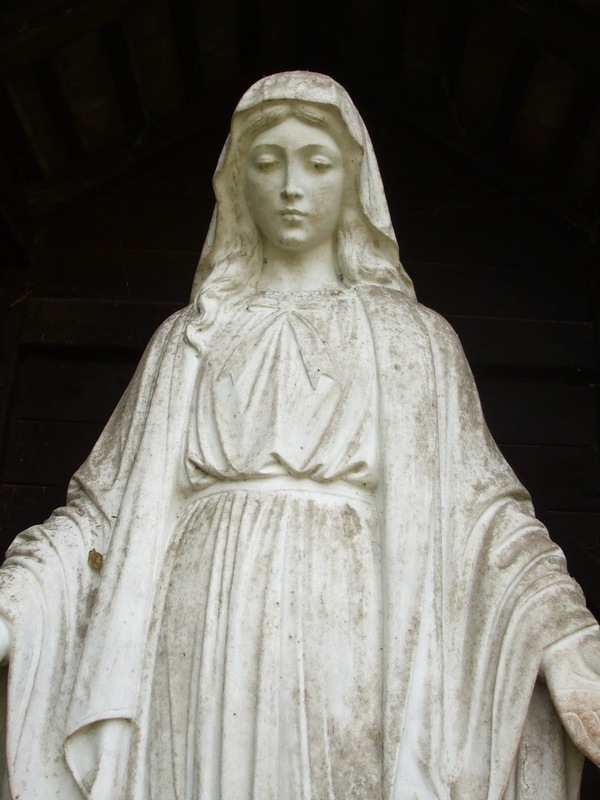 When our house was started in Oxford over eighty years ago it was placed under the patronage of Our Lady of Grace. It is a title I know very little about, and whose feast day I haven't been able to discover. But it is a title I find inspiring. I was born on a Tuesday, and as the rhyme goes, Tuesday's child is full of grace. When I first heard this as a small child I naturally thought I was destined to become a ballerina! - but over the years my understanding of the word has expanded and deepened, especially in the measure in which I pray for and receive grace. ﻿﻿Grace, as we know, is an entirely unearned, generous and free gift from God: yes, it is a gift we can pray for, disposing our hearts to receive it, but ultimately, only God can fill our beings with it. Even away from church circles grace is something lovely and desirable. We use the word as a shorthand for loving kindness, compassion and courtesy, for graciousness, true humility and respect. And when we say someone graces an event with their presence we mean they dignify, enhance or bring honour upon it in some way. So I don't know anything about the title but I do understand something about what it means. And for a house which contains sisters and students who commit themselves to forming community, who want to treat each other with loving kindness, compassion and courtesy - who want to treat each other with grace - Our Lady of Grace is a most splendid patron! As we embark on a new year together may she grace us with her gentle presence and example, and help us, like her, to become people full of grace. Hello Silvana, thank you for your great blog. Would you like to share one of your posts on a new catholic podcast? The Source and Summit podcast is an open podium for catholics to speak about their love for the Church. In this podcast you can not only listen to presentations from fellow catholics, you can also submit an item yourself. You are welcome at www.sourceandsummit.cc for more information and to record your contribution.